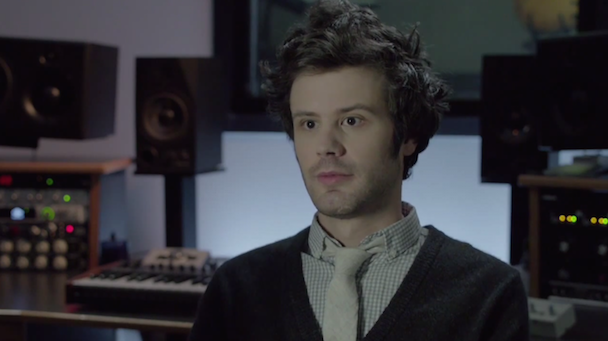 Passion Pit frontman Michael Angelakos has been very candid about his bipolar disorder after he had to cancel some tour dates following the release of their sophomore album Gossamer, and he’s even been awarded in the past for putting a positive face on mental illness. He’s part of Bring Change 2 Mind’s new PSA campaign called #StrongerThanStigma, which aims “to encourage men to normalize conversations around mental health,” and he appears in a new video talking about his ongoing treatment for his bipolar disorder. “Once I started accepting my mental condition, it stung for a little bit, and then everything improved,” he says. “When people ask me what it’s like to live with bipolar, you just have to adjust and figure out exactly how you’re going to live your life the way you want to live it and achieve what you want to achieve. But you can only do that once you get help.” Watch the full video below, and find out more about the campaign here. Wayne Brady, Brandon Marshall, and Ben Scrivens are also participating in the #StrongerThanStigma campaign. Passion Pit’s third album will be out later this year.